Some starters..preheat04/07/19 at 07:37adamrvlx: 5. starter is made by company named HN. I have two... Tungsram 36W Cool Whitepreheat03/14/19 at 14:52vytautas_lamps: I have a few of these, very nice tubes, with excep... 12V 35W HID ballast preheat11/07/18 at 07:48MissRiaElaine: What type of lamp is it for..? Tridonic magnetic ballastpreheat09/03/18 at 09:58MissRiaElaine: Oooh, a baby ballast..! 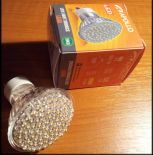 Does it want to grow up to... 80 LED GU10 lamppreheat08/17/18 at 16:03F96T12 DD VHO: This looks like it would hurt when turned on. Tungsram 40W Natural Whitepreheat12/24/17 at 06:03veryhighonoutput: Wow f yeah! Tungsram 40W Natural Whitepreheat12/24/17 at 03:16TL buis: Nice lamp!! Pyte, can you tell me date trick?? Tungsram E27 15W red lamp preheat12/18/17 at 08:16preheat: 1962? Wow! Thank you Pyte. Tungsram E27 15W red lamp preheat12/17/17 at 15:43Pyte: 1962. Tungsram 36W Cool Whitepreheat12/17/17 at 15:34Pyte: June 1997. 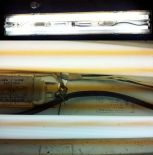 Tungsram 40W Daylightpreheat12/17/17 at 15:33Pyte: October 1993. Tungsram 40W Natural Whitepreheat12/17/17 at 15:32Pyte: January 1969. Tungsram E27 15W red lamp preheat12/13/17 at 13:57preheat: Thanks Tungsram E27 15W red lamp preheat12/12/17 at 18:46Keiron: Fabulous save Philips TLD 36W/33 preheat12/12/17 at 17:15fluorescent: May 2002. Good quality tube!